Elsa Yur’evna Triolet (12 September (or 24 September) 1896 – 16 June 1970), born Elsa Kagan (Russian: Элла Каган), was a Russian-born French writer. Peter Chad Tigar Levi FSA, FRSL (16 May 1931, Ruislip – 1 February 2000, Frampton-on-Severn), was a poet, archaeologist, Jesuit priest, travel writer, biographer, academic and prolific reviewer and critic. He was Professor of Poetry at the University of Oxford (1984–1989). 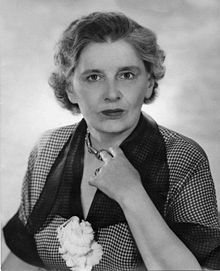 Dame Cicely Isabel Fairfield DBE (21 December 1892 – 15 March 1983), known as Rebecca West, or Dame Rebecca West, was a British author, journalist, literary critic and travel writer. An author who wrote in many genres, West reviewed books for The Times, the New York Herald Tribune, the Sunday Telegraph, and the New Republic, and she was a correspondent for The Bookman. Her major works include Black Lamb and Grey Falcon (1941), on the history and culture of Yugoslavia; A Train of Powder (1955), her coverage of the Nuremberg trials, published originally in The New Yorker; The Meaning of Treason, later The New Meaning of Treason, a study of the trial of theBritish Fascist William Joyce and others; The Return of the Soldier, a modernist World War I novel; and the “Aubrey trilogy” of autobiographical novels, The Fountain Overflows, This Real Night, and Cousin Rosamund. Time called her “indisputably the world’s number one woman writer” in 1947. She was made CBE in 1949 , and DBE in 1959, in each case, the citation reads ‘writer and literary critic’. 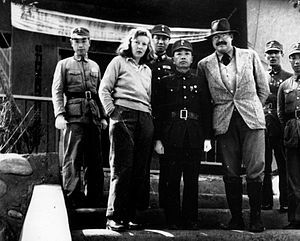 Martha Ellis Gellhorn (November 8, 1908 – February 15, 1998) was an American novelist, travel writer, and journalist, who is considered one of the greatest war correspondents of the 20th century. She reported on virtually every major world conflict that took place during her 60-year career. Gellhorn was also the third wife of American novelist Ernest Hemingway, from 1940 to 1945. At the age of 89, ill and almost completely blind, she committed suicide. The Martha Gellhorn Prize for Journalism is named after her. Richard Davenport-Hines reads an extract from a letter relating to Hugh Trevor-Roper’s visit to Greece with explorer Freya Stark, the UK travel writer who was born today in history, 31 January, 1893.